There are too many maps and networking platforms! That was the conclusion of 13 Swiss initiatives and associations working on sustainability, and therefore they founded the association “Wandel.jetzt” in early 2017. This not only led to the creation of an overarching platform in cooperation with other actors, but also of the “Transition-Connect” interface, which automatically synchronizes events and organizational profiles with multiple platforms, thereby preventing fragmentation. This is the fifth article of our thematic series “Digital Networking of the Transformation Movement”. We are grateful that with green net project we have also established contacts in German-speaking Switzerland. For this article, we conducted an interview with Gallus Bühlmann. 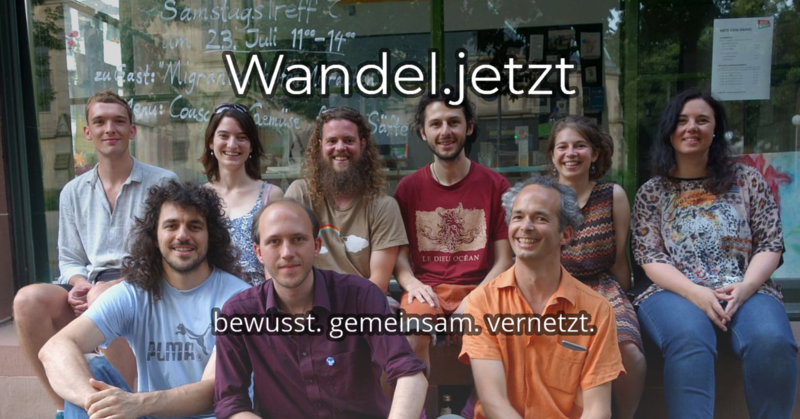 Wandel.jetzt is an association of a number of Swiss transition initiatives. The project will create a networking platform that includes an event calendar and a digital map. 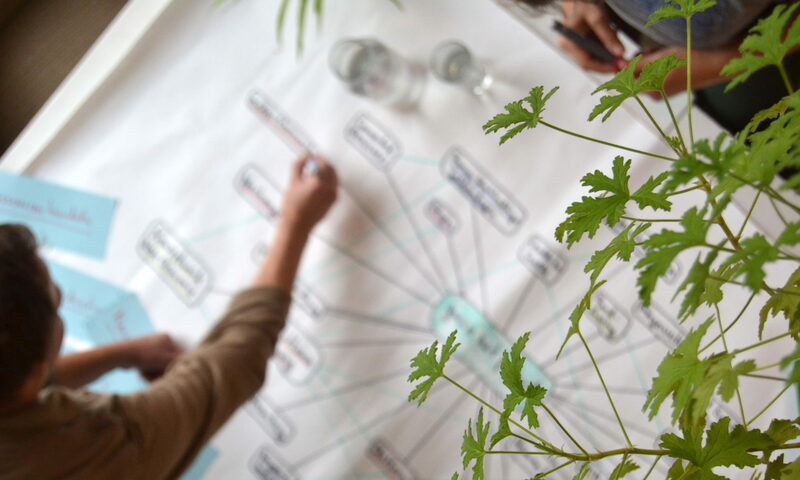 The goal is for individuals to connect with existing change initiatives and to get an overview of activities and projects. Are you using an existing platform solution or are you developing something of your own? Our focus is not on programming something that already exists elsewhere, but rather on collaboration with initiatives that have already developed something. 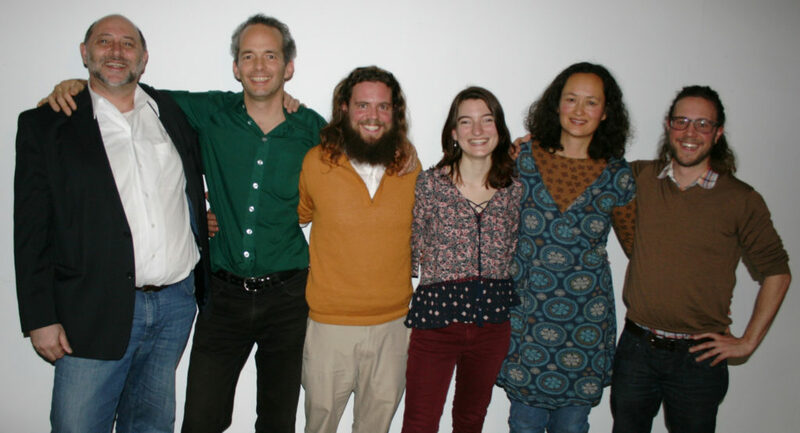 For example, we cooperate with “Stadtwandler” in Freiburg and Transition Zurich. Stadtwandler has a platform which we will refine together. 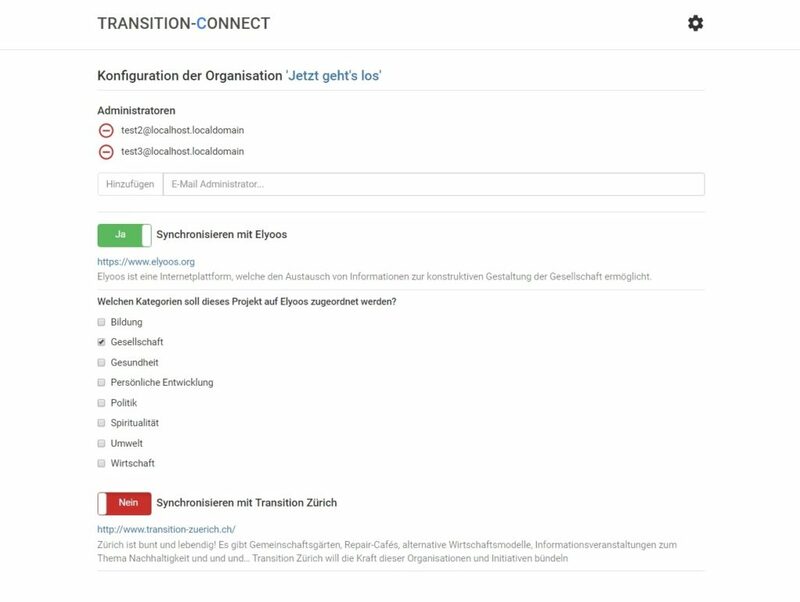 In cooperation with Transition Zurich and Elyoos we are developing Transition-Connect – a tool for data exchange between multiple platforms. Why did you make your decision that way? It makes no sense to invent everything three times. We focus on the exchange of data between platforms. This does not require a completely new platform, but only a connection of existing tools. The connection can be done via Transition-Connect. This especially promotes the exchange of common data sets – events and organizational profiles, blog content, etc. What is the purpose of the platform you are using? We want to bring individuals together with transition initiatives. For this, we combine online and offline networking. Among other things, we have 2-3 events and parties planned. There were already parties with cooperation partners, most recently in Basel, and there will be parties soon in Olten, Zurich or Bern. Through the platform, we gather individuals and bring them in contact with projects so they can get involved. Organizations are encouraged to collaborate and exchange knowledge, and authorities and policymakers are supported in their cooperation with small and medium-sized private initiatives to achieve goals such as those of the Agenda 2030. Finally, we make visible to a broad public how many committed people and innovative projects striving for a livable future already exist. Mit der Plattform holen wir Einzelpersonen ab und bringen sie in Kontakt mit Projekten, um sich konkret zu engagieren. Organisationen werden zu mehr Zusammenarbeit und Wissensaustausch angeregt, Behörden und Politik werden in der Kooperation von staatlichen Organen mit kleinen und mittleren privaten Initiativen unterstützt, um gesetzte Ziele wie jene der Agenda 2030 zu erreichen. 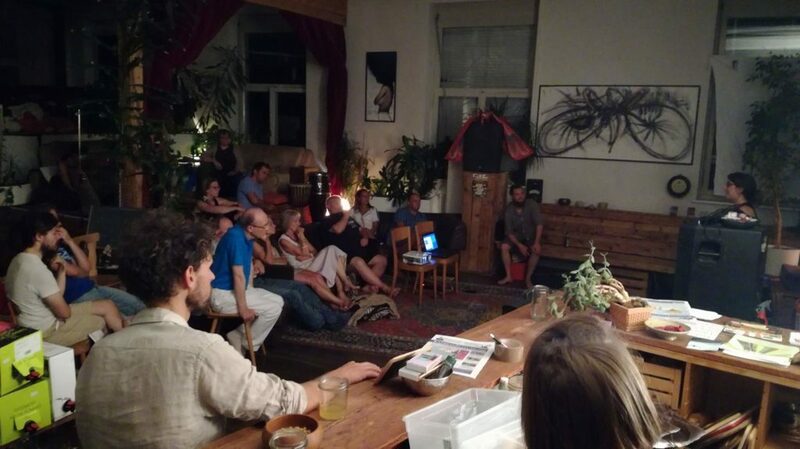 Schließlich machen wir einer breiten Öffentlichkeit eindrücklich sichtbar, wie viele engagierte Menschen und innovative Projekte für eine lebenswerte Zukunft es schon gibt. The platform is still under development. We will probably put it online this spring. Stadtwandler has already published a beta version. We want to extend the usability even further and integrate more functions. For the next version, we are already testing Transition-Connect – that is, whether data exchange across multiple platforms works. We address all actors of civil society working on a socio-ecological transformation of our world: individuals (consumers and people who want to get involved in projects), organizations as well as authorities, politicians and state bodies. We are also looking for exchange with other mapping and networking initiatives – because together we can make the “white spots” on the maps disappear. How do you reach your users? The supporting body is an association of various transition organizations, which in turn approach their members, so they are multipliers. It’s not like we just thought up the concept in a vacuum. Rather, the founding organizations have come together and formulated their needs. The members of the organizations are therefore eager to see first results. We also intend to approach other organizations in the future. A concept for this is currently being developed. The association was founded by 13 organizations, later on, one or two initiatives have joined. Some of them have 100 members or more. Since we have not gone online with Wandel.jetzt yet, we cannot guess how active the community will be. Personally, I see a great interest and need for a networking platform and therefore hope for brisk use. Generally speaking, it is about a change of society towards sustainability and a conscious approach to nature and people. We deliberately do not set more specific thematic priorities, because the range is very broad. In order to allow users to inform themselves about certain niche topics, however, we have implemented a filter function. There you can select the topics you are interested in. Wandel.jetzt provides a directory and a map of all events and organizations in the field of sustainability. There is also a search and filter function to filter entries according to specific topics. Registered users can make entries; unregistered users can only read. For the future, we also plan to distribute news or blog articles via the platform. There are also ideas for a collaborative newsletter, which could bundle news from several organizations. So far there is no comprehensive map which shows all activities and projects in Switzerland. We would thus create something that does not exist in this form here yet. Transition-Connect is particularly exciting – automated data exchange between several mapping platforms. This kind of link between multiple platforms does not exist so far. Yes, there are some in Switzerland, Austria and Liechtenstein. According to our research, these platforms are often geared to one topic or one region or use older technology. Competitors would be, so to speak, all projects that focus on transnational mapping. Also there is the platform ArboLife, which is, however, more specialized in consumption and ecological lifestyle. The platform is based on a Drupal 8 development of Stadtwandler Freiburg and is under further development in cooperation with Wandel.jetzt and Transition Zürich. It uses standard modules as well as several modules that have been developed by us. The data model allows the linking of all entries between each other, e.g. events and organizations. There are also a number of APIs and interfaces, e.g. for iCal or for data exchange with Transition-Connect. What is Transition-Connect and how does it work? Transition-Connect is a kind of link that enables data exchange between multiple platforms. In our case, this means Stadtwandler, Transition Zurich and Wandel.jetzt use the same software and have their own local databases. Through an interface (REST API), the Transition-Connect service transfers events and organizations from one platform to the others and vice versa. Each platform can decide for itself which data from which regions and on which topics it would like to exchange. Thus, entries of local maps are also visible on supra-regional maps and vice versa. This is particularly exciting in the Freiburg region because it also promotes cooperation across the national border. However, the potential of Transition-Connect does not end here. 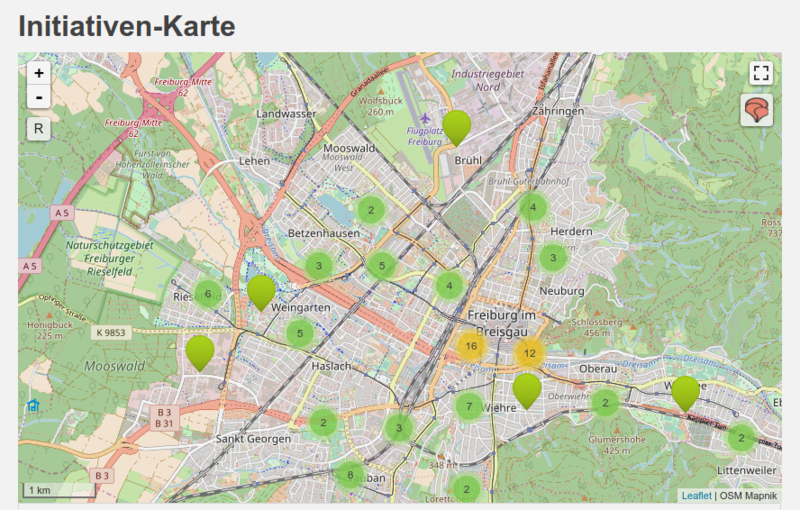 There are many other mapping initiatives, all of which map a specific region (for example Berlin im Wandel) or a specific topic (for example green startups or shops for unpacked goods). With Transition-Connect all map data can be merged. This avoids fragmentation and also saves a lot of time and energy, because one organization no longer has to be registered on 10 platforms, but only on one – and the data is distributed automatically. I find the concept particularly exciting, because the existing mapping platforms can retain their autonomy. The platforms can stay as they are and only need an interface to Transition-Connect to feed or read data into/from the Transition-Connect network. Since there is no uniform technical standard among the numerous mapping projects, we have defined an easy-to-control REST API. This can be implemented in Drupal and some other systems with a module, for a few systems you have to program this interface yourself. Since the synchronization logic is done by Transition-Connect, the effort for the connection of the respective platforms is limited. Is the platform an open-source solution? Yes, but the code is not publicly visible yet. The common code base of Stadtwandler.org, Wandel.jetzt and transition-zuerich.ch is currently available on GitLab and will be made publicly available as soon as the beta version is finished in April / Mail 2018. Yes, the key interface here is Transition-Connect. There is an iCal interface for connecting your own calendar. Especially one export interface should be mentioned, which allows to print a city map in large format on paper. We are also considering using fairlogin, which enables single sign-on for a whole ecosystem. Similar to how you can sign up for multiple platforms with one Facebook login, this will also be possible with fairlogin. The business model is currently being developed. We aim for start-up financing and hope to be self-supporting in 5-6 years. It would also be possible to have partial financing via additional functions, such as collaboration tools. After several network meetings in 2014 and 2015, during which digital platforms were repeatedly discussed, the project idea was born in April 2016. 13 organizations developed a desire for this kind of networking platform at the same time, which is why we founded the association “Wandel.jetzt” on 13.01.2017. The contact to Stadtwandler was created during the evaluation phase in the summer of 2017. The association “Wandel.jetzt” currently consists of 14 organizations (full members) and has 6 board members. So far, Benno Flory and Gallus Bühlmann are the core team, but we are in the process of expanding our team. Software development is done in cooperation with Transition Zurich and Stadtwandler Freiburg. The address of the association is currently identical to the private address of a board member. But we aim to create our own office. We have taken this into account in our plans for fundraising. Which legal form do you have? Wandel.jetzt is a non-profit association. Would you like to get more support? Yes, currently support in financing is especially welcome. But there is also the opportunity to become involved as an active participant or programmer. Also the areas of communication and marketing are still a bit sparsely staffed. Here we would be pleased to hear from interested people. Do you cooperate with other partners? Direct cooperation exists for hosting with Revamp-IT with Transition Zurich and Stadtwandler Freiburg. Due to the long project lead, we already have contacts to many projects in the DACH area. Lately, we also received a request from Belarus. We are also in discussion with Kartevonmorgen, Human Connection and WECHANGE. We had a meeting in Stuttgart with the vision to facilitate data exchange between these networks and to support each other in software development as well as fundraising. Of course, when distributing data across multiple platforms, the privacy issue is also important. Some of the participants have already dealt extensively with it and can contribute their experience. In February, we will develop our financial or business model. In spring, we will go online with our beta version. Then we plan to approach the users directly and expand the network. No other steps have been decided yet, it depends on the financing. The nice thing is that “Wandel.jetzt” does not have to establish itself as a platform. Since it uses Transition-Connect, it is much more about developing an ecosystem that enables wide sharing of data. Multiple platforms can dock with the ecosystem and work with the same data. If the joint login with fairlogin also works, it will grow together even more closely. For the future, it would be conceivable to provide collaboration tools or a Nextcloud for the members or to include places and products of sustainable consumption in the map. In the distant future, I can also imagine an app to use Wandel.jetzt on mobile devices. Taken as a whole, the use of Transition-Connect means a high added value to all individual platforms. By the way, we will also be at the Makers-Lab in Ferropolis, and we are looking forward to exchanging ideas with other platform operators. Possibly, we may even set up a small Swiss delegation coming from several organizations.